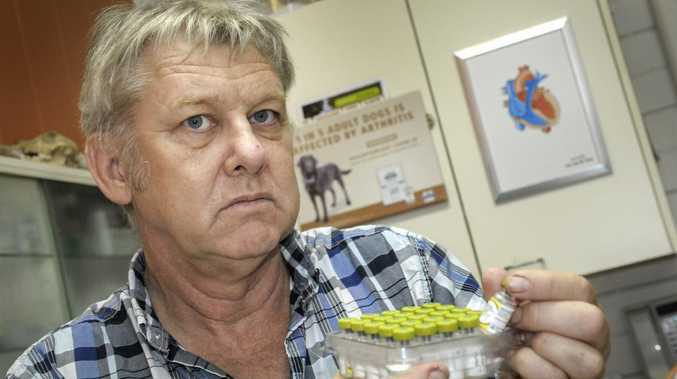 Eatons Hill vet Allen O'Grady is suing for defamation. A BRISBANE vet is suing a dog owner for $100,000, claiming she spitefully defamed him and his practice as lacking morals in posts on Facebook, Twitter and online reviews. 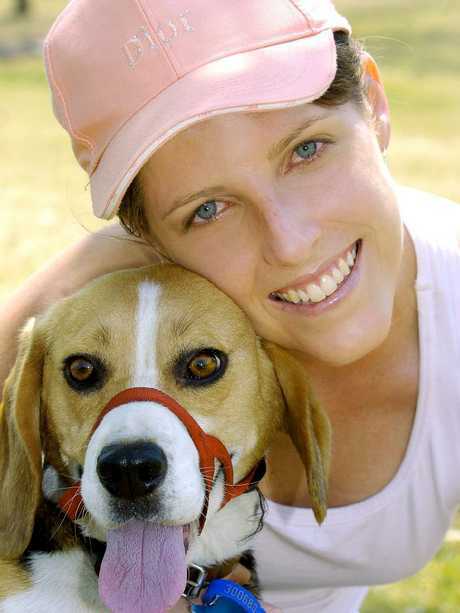 In an ominous warning for Queensland social media users, the four-year legal battle erupted after Carrie Barlow, the owner of beagle Valentine vented her frustration on Twitter, claiming the Albion Vet Surgery marked-up dog antibiotics and other drugs by 400 per cent. 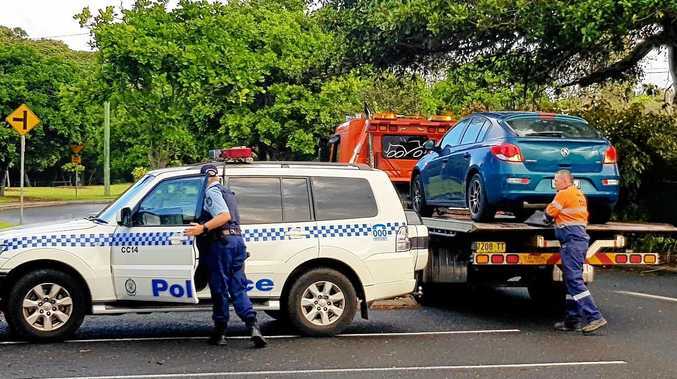 Allen O'Grady, who operated the business at the time along with the Eatons Hill Vet Surgery northwest of Brisbane, claims in his District Court lawsuit that Ms Barlow defamed him seven times over a 10-day period in October 2014. Media lawyers believe it to be the first Twitter defamation battle in the state to go to hearing, and say it should serve as a warning to social media users. Mr O'Grady claims the defamatory imputations in Barlow's posts include that the surgery grossly overcharges its clients, lacks morals, takes advantage of clients, is uncaring, is petty, and lacks compassion. "The vet is a very grumpy (sic) who should not be dealing with people or animals," Ms Barlow wrote on Truelocal on October 15. The posts also include Ms Barlow's response, after the practice wrote to tell her they would no longer offer emergency treatment for her pets, and days later a legal letter threatening defamation action from the vet surgery. Ms Barlow is defending the claims on the basis of fair comment and expression of opinion and denies she acted out of malice. Her posts were triggered by a $427 vet bill to give Valentine two stitches after he was attacked by another dog. Valentine was treated by another vet and not Mr O'Grady. Ms Barlow denies ever questioning Mr O'Grady's morals, professional knowledge or competence. She argues that her opinion of the vet practice was mirrored by other dissatisfied customers who have published negative reviews of the practice online since 2011, and she argued that she obtained a quote from another vet which was $247 less for the same service. 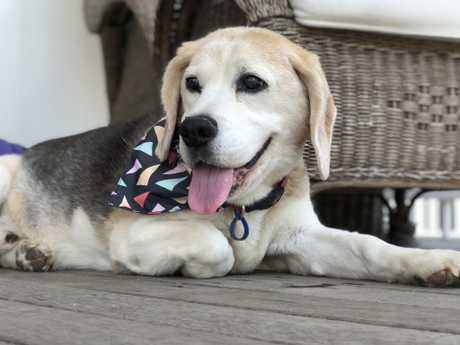 Carrie Barlow’s beagle required stitches after he was attacked by another dog. Ms Barlow argued that weeks after she posted her comments online she removed five of the seven comments, but days later realised she was unable to remove the TrueLocal posting. It was only when she read the defamation claim against her that she realised she hadn't taken her Twitter post down, and she immediately removed it. University of Technology Sydney Centre for Media Transition co-director Derek Wilding warned social media users to be careful. "These recent cases indicate that people should be careful what they say on social media," he said. "They might (be considered) publishers... and end up in court." Outside court, Ms Barlow said her experience had been a legal nightmare. "It's dragged on now for more than four years, and had an enormous financial and emotional impact on our family," she said. "The worst thing is that there are people out there writing online reviews about businesses every day without knowing that this could happen to them too." Mr O'Grady's lawyer did not return calls seeking comment. A trial had been due to be heard last month, but was pushed back to February due to Mr O'Grady's ill health.